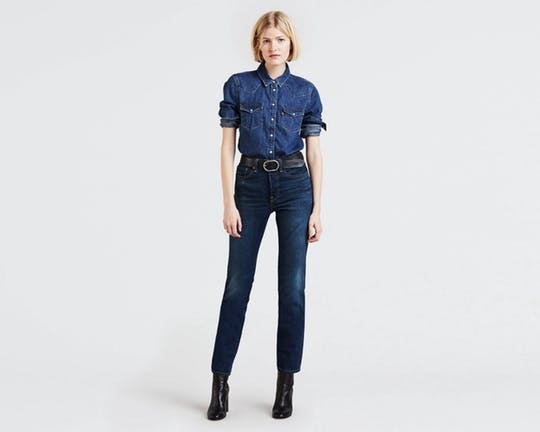 Denim is the foundation of our fall wardrobes, and this year, the jeans we covet have a totally throwback vibe. 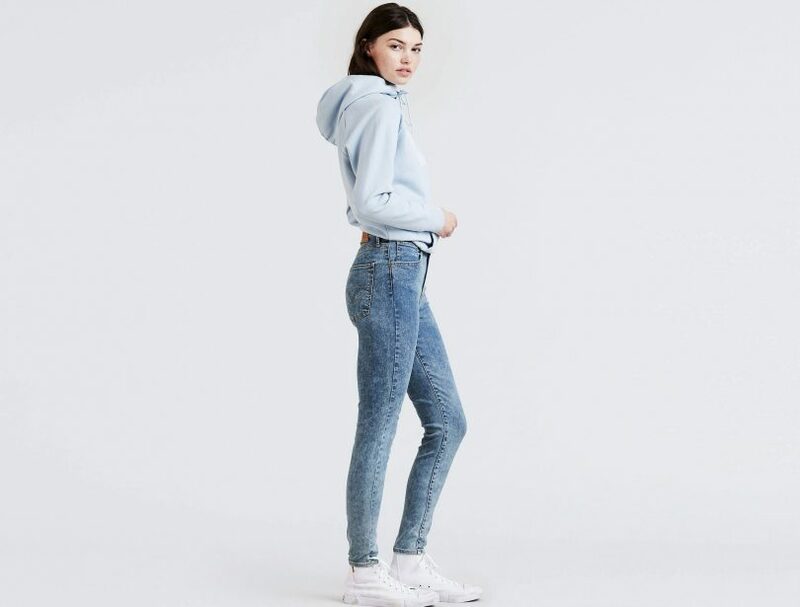 80s and 90s-inspired high rise jeans are back in a big way, and luckily for us, Levi’s has a lock on all the best high rise styles we could ask for, from skinny to straight to acid washed and cropped. The coolest elements of high rise jeans: they hug and hold you in all the right places; make your legs look as long as a supermodel’s; and of course, how they make you look effortlessly chic, (just like all the fashion girls in your Insta feeds). Read on for our must-have high rise jeans from Levi’s, along with styling tips on how to wear vintage-inspired denim now. These super high rise skinnies give you legs for days, and in an acid wash, they give you that 80’s feel with a sleek and modern silhouette. Add a streetwear edge with high-top sneakers or add some polish with a tucked-in top and slingback kitten-heels. Aged and roughed-up to perfection, these skinnies balance classic vibes and contemporary appeal. Their high rise lifts and holds you all day for a super-flattering fit. Go chic and pair them with heels and a belted sweater or an oversized jean jacket and elevated sneakers for vintage vibes. Channel ‘90s babes with these wide leg cropped jeans. They highlight your waist in the best way, and the weathered stone wash heightens their throwback appeal. Add a crop top and white sneakers for more #TBT love. This post is sponsored by Levi’s but the opinions are our own.